Bend and snap! It’s super easy! Now you got it! 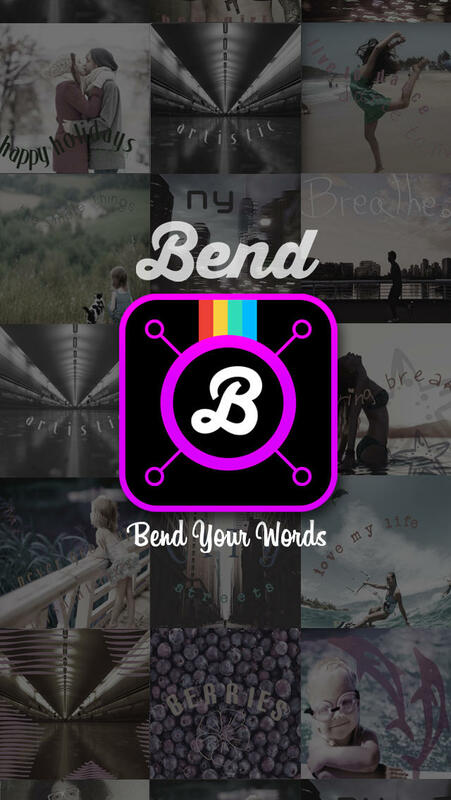 With our Bend app you will be able to instantly bend words to perfection! *Use any one of the professional Borders to make your picture come to life! *Play with the filters until you find…the one! *BEND TEXT INTO ANY CURVED PATTERN YOU DESIRE – Color IT – Get Creative. Moods…bring out the best mood in anyone with any photo! Bend…words into interesting shapes – like a heart, for example! Select…we have new rare and special fonts for the taking! Share…instantly upload your masterpiece to Instagram, Twitter, Facebook, and more! You will spend only minutes on a picture that looks like it took hours! Perfection! OKJUX - Catwang Super Awesome Sticker Camera!